You might know us as Mic Mac Toyota, and that’s okay! 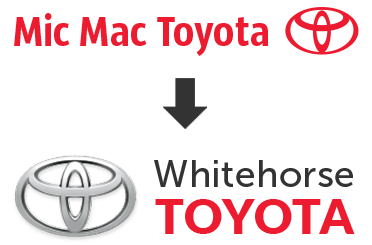 We’ve recently changed our name to Whitehorse Toyota to reflect the city we’re proud to call home, and be as relevant as possible to our base of loyal customers. Our customers are like family to us, and we treat everyone with the same level of professionalism and respect that we expect ourselves. People don’t buy cars from car dealerships — people buy cars from other people. In order to make this experience as easy and headache-free as possible, we focus on building trusting long-term relationships with our community. Meet the friendly faces of Whitehorse Toyota. We offer both new and used vehicles to the Whitehorse area and beyond, and we don’t mind bragging that our team of automotive professionals is top-notch. We proudly serve Northern Canada with great customer service, quality vehicles, and service offerings.